Looking at one of his sculptures from a single perspective, it would be easy to mistake them for 2D drawings on a flat surface. 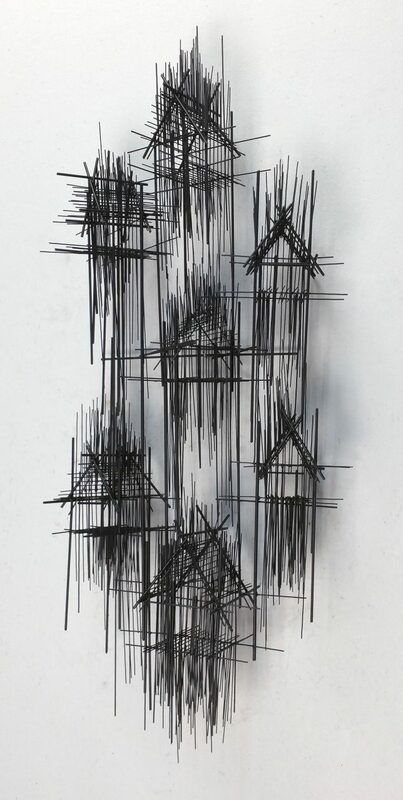 After all, architects have a tendency to layer lines as they solve design problems in realtime, resulting in a sketchy quality in their “working” drawings. 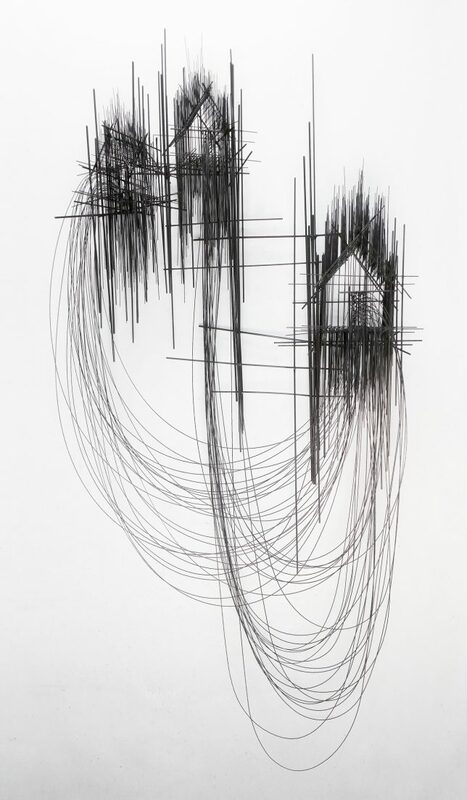 They often also sketch buildings with overlapping lines, leaving structural intersections seeming fluid and unfinished. 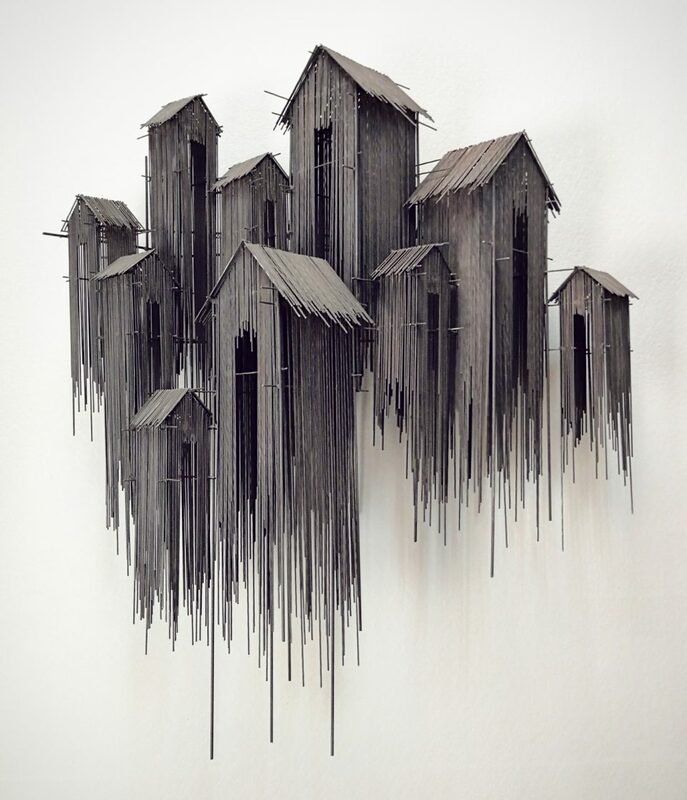 Spanish artist David Moreno sculpts along similar lines, using thin strands to model out architectural creations that appear almost like two-dimensional art on a page. 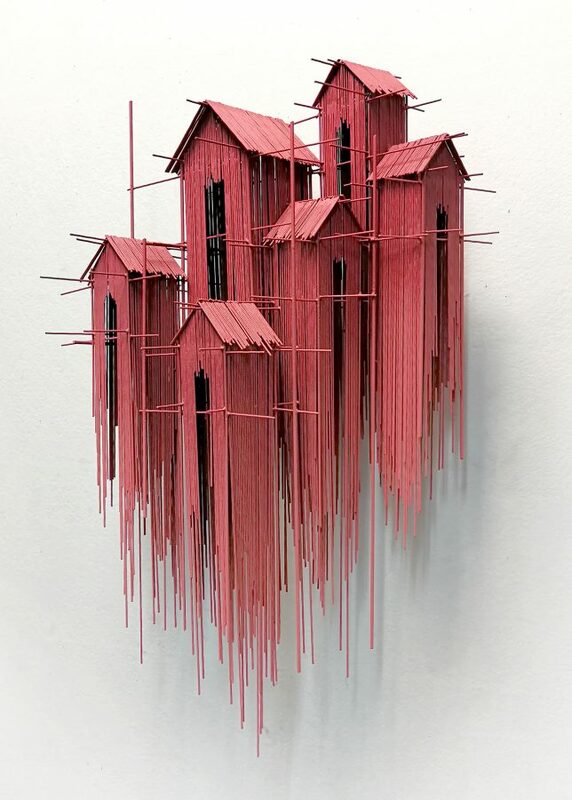 Strung together with slim piano wire, he builds up his pieces from steel rods that form outlines of buildings as well as architectural details. 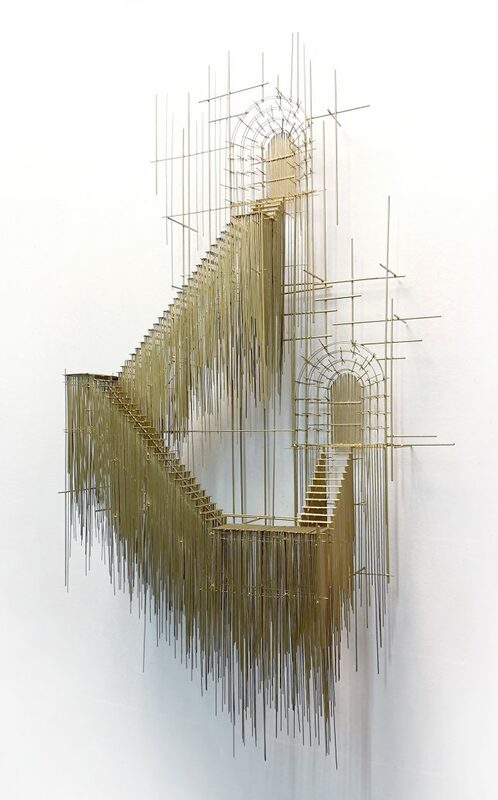 There is rarely a clear starting point, and one could imagine any of these constructions being half-finished or, conversely, well past their natural end point. In the end, there is a kind of gestural quality and uncertainty to each piece, something that architect’s often intentionally cultivate — by creating overlaps and ambiguities, they can allow observers (and clients) to read their own vision into it. 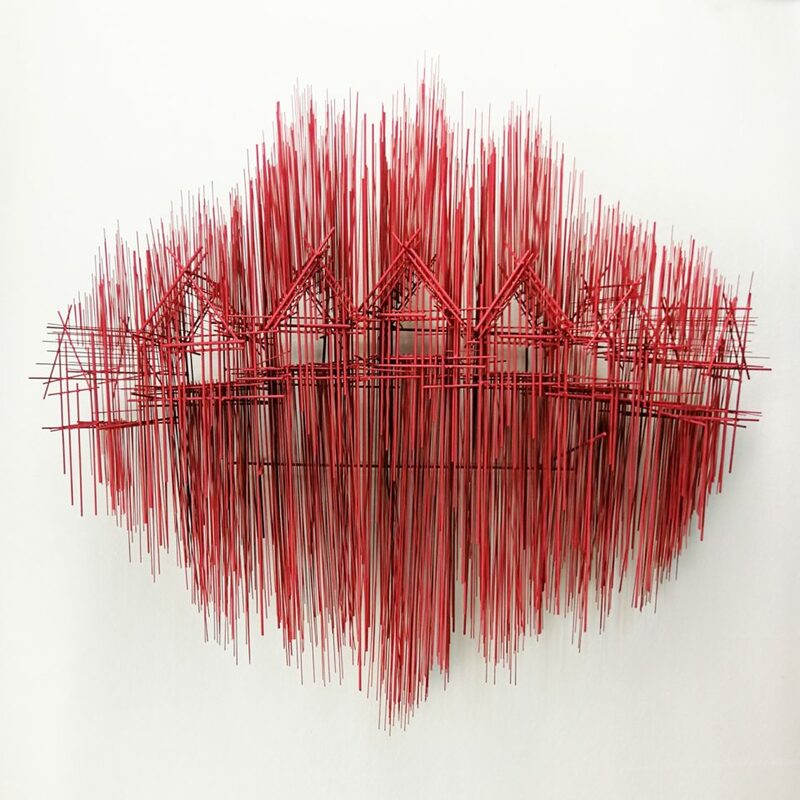 Moreno has created and iterated on these kinds of three-dimensional sketch sculptures for a long time, but has also worked on large-scale installations and furniture-based works. You can see more, too, on his Behance page.